Lisa, a 36 year old model and actress, arrived in my office and told me her story. Ever since her thyroidectomy for cancer, she has had severe fatigue, muscle pain, hair loss, and dry skin. The small dose of Synthroid prescribed by her endocrinologist doesn’t seem to be helping. Four years ago, her family doctor palpated her thyroid gland, thought he felt a nodule and sent her for thyroid ultrasound, “just to be sure”. The thyroid ultrasound images showed a small nodule about 9 mm in size, and the doctors recommended ultrasound guided needle biopsy, “just to be sure”. About a week after the biopsy, the pathology report came back with a diagnosis of “papillary carcinoma of the thyroid”. Grateful that she had a treatable cancer with a good prognosis, Lisa underwent the surgery and radiation. Since the surgery completely removed her thyroid gland, she required thyroid medication every day. She also needed periodic screening tests to check for cancer recurrence. Above Image: Video Assisted Thyroidectomy, courtesy of wikimedia commons. Unfortunately, Lisa was not spared the adverse effects of her treatment. The surgery had disturbed her recurrent laryngeal nerve, leaving her with a chronic hoarseness, cough and voice change. The surgery also removed the parathyroid glands leaving her at risk for osteoporosis. The radioactive iodine treatment caused salivary gland damage, leaving her with a chronic dry mouth and bad taste. The radioactive Iodine also carried an increased generalized cancer risk over her lifetime, and of course, detrimental effect on fertility in the future when Lisa decides to have a family. I explained to Lisa that her symptoms of hypothyroidism were due to the small dose of Synthroid, which was not enough to relieve her symptoms. In addition, Synthroid, which contains only T4, does not completely replace the function of her missing thyroid gland. A natural thyroid medication from made from dessicated porcine thyroid gland containing T3, T4 and Calcitonin is a far better alternative. Lisa was switched over to her natural thyroid medication, called NatureThroid from RLC labs, along with Iodine supplementation, and 3 weeks later called the office to report a dramatic improvement with relief of chronic fatigue and improved energy levels. For twenty years as an interventional radiologist, my job was to perform ultrasound needle biopsies of small thyroid nodules sent into the hospital by primary care doctors. The vast majority of thyroid cancers found with ultrasound scanning and needle biopsy are the small papillary carcinoma, a relatively benign tumor with excellent prognosis (30 year survival rate 95%). Left image: Thyroid sonogram transverse image. 1=right carotid artery, 2=right thyroid gland, 3=trachea, 4=left thyroid gland, 5=left carotid artery. Courtesy of Wikimedia Commons. An exasperated radiologist, John J. Cronan, MD says in the June 2008 issue of Radiology we should “turn off the ultrasound machines”. Cronan questions this entire medical enterprise of detecting thyroid nodules, and small cancers with ultrasound guided biopsy. “From the patient perspective, we have hung the psychologic stigma of cancer on these patients and the dependency for daily thyroid supplementation…We accept all these consequences to control a cancer with a 99% 10-year survival.” quote Dr Cronen. 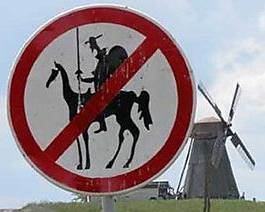 Above Left image: Don Quixote and Windmill Courtesy of Wikimedia Commons. Since the invention of the PSA test for early detection of prostate cancer, we have seen evolution from aggressive medical treatment to “watchful waiting”, with men with elevated PSA levels who have declined treatment with surgery and radiation, instead opting for “watchful waiting”. A thyroid cancer expert, Dr. Yasuhiro Ito of Kobe, Japan, has come up with a similar approach for papillary thyroid cancer, and has a number of studies to back up his statements. Dr Ito observed 162 patients with papillary thyroid microcarcinoma (< 10 mm) over 8 years. 70% of tumors either remained stable or decreased in size. Only 10% enlarged by more than 10 mm. Only 1.2% of patients developed neck node metastasis over the 8 years observation. Because of this study, Dr. Ito says the patient can opt for watchful waiting with serial ultrasound follow up studies. Dr Ito says that if follow up ultrasound shows enlarging tumor, or enlarging metastatic neck nodes, then more aggressive surgical treatment is indicated with an excellent prognosis. In another study of 52 cases, Dr Ito found when the papillary thyroid cancer is found after surgery while examining the histology slides, then no further surgery is needed. Perhaps this whole problem is caused by incorrect terminology used by the pathologist who reviews the biopsy slide and uses the word “cancer”, a word that strikes fear and creates undue stress. Once a pathology report with the word “cancer” is placed on the desk, rationality gets thrown out the window, and the patient demands aggressive treatment, usually out of proportion to the actual pathology. Is Treatment of Papillary Micro-Carcinoma Overly Aggressive? Over the years, we have seen surgical treatment for breast cancer evolve from the overly aggressive and debilitating radical mastectomy procedure, to the current day simple lumpectomy for many small breast cancers. Perhaps treatment for thyroid cancer is going in this same direction, and is playing “catch-up” with the more limited breast cancer treatments. Dr Hay advocates removal of the tumor with unilateral lobectomy, saying that it was unnecessary to perform total thyroidectomy or radioactive iodine treatment, since they did not improve prognosis compared to unilateral thyroid lobectomy alone. You might ask the obvious question, “Thyroid nodules are found in 67% of the population. What is causing this?” I would suggest that the most likely explanation is sub-clinical iodine deficiency in the population. 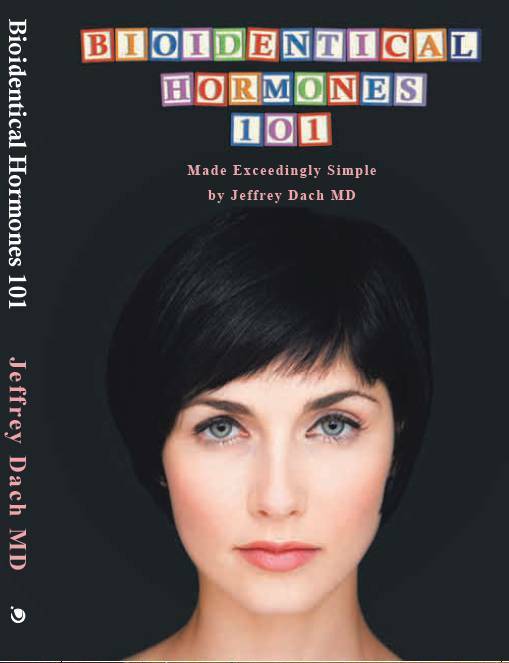 Iodine deficiency causes thyroid enlargement (goiter), thyroid nodules, and thyroid cancer. Population studies in which iodine supplementation was given showed reduced mortality from thyroid cancer. Incidentally, this reduced mortality was also associated with an increase in well differentiated papillary cancers, again suggesting the papillary type to be associated with a better outcome. Make sure to take Iodine supplements to reduce the risk of dangerous types of thyroid cancer. For more on Iodine and cancer prevention, click here. JAMA Otolaryngol Head Neck Surg. 2014 Feb 20. doi: 10.1001/jamaoto.2014.1. [Epub ahead of print] Current Thyroid Cancer Trends in the United States. Davies L1, Welch HG2. IMPORTANCE We have previously reported on a doubling of thyroid cancer incidence-largely due to the detection of small papillary cancers. Because they are commonly found in people who have died of other causes, and because thyroid cancer mortality had been stable, we argued that the increased incidence represented overdiagnosis. OBJECTIVE To determine whether thyroid cancer incidence has stabilized. DESIGN Analysis of secular trends in patients diagnosed with thyroid cancer, 1975 to 2009, using the Surveillance, Epidemiology, and End Results (SEER) program and thyroid cancer mortality from the National Vital Statistics System. SETTING Nine SEER areas (SEER 9): Atlanta, Georgia; Connecticut; Detroit, Michigan; Hawaii; Iowa; New Mexico; San Francisco-Oakland, California; Seattle-Puget Sound, Washington; and Utah. PARTICIPANTS Men and women older than 18 years diagnosed as having a thyroid cancer between 1975 and 2009 who lived in the SEER 9 areas. INTERVENTIONS None. MAIN OUTCOMES AND MEASURES Thyroid cancer incidence, histologic type, tumor size, and patient mortality. RESULTS Since 1975, the incidence of thyroid cancer has now nearly tripled, from 4.9 to 14.3 per 100 000 individuals (absolute increase, 9.4 per 100 000; relative rate [RR], 2.9; 95% CI, 2.7-3.1). Virtually the entire increase was attributable to papillary thyroid cancer: from 3.4 to 12.5 per 100 000 (absolute increase, 9.1 per 100 000; RR, 3.7; 95% CI, 3.4-4.0). The absolute increase in thyroid cancer in women (from 6.5 to 21.4 = 14.9 per 100 000 women) was almost 4 times greater than that of men (from 3.1 to 6.9 = 3.8 per 100 000 men). The mortality rate from thyroid cancer was stable between 1975 and 2009 (approximately 0.5 deaths per 100 000). CONCLUSIONS AND RELEVANCE There is an ongoing epidemic of thyroid cancer in the United States. The epidemiology of the increased incidence, however, suggests that it is not an epidemic of disease but rather an epidemic of diagnosis. The problem is particularly acute for women, who have lower autopsy prevalence of thyroid cancer than men but higher cancer detection rates by a 3:1 ratio. Editorials – Thyroid Nodules: Is It Time to Turn Off the US Machines? by John J. Cronan, MD June 2008 Radiology, 247, 602-604. The prevalence of thyroid nodules in the U.S. population is dependent on the tool used for interrogation of the thyroid. With simple palpation, 4%–7% of the population has a thyroid nodule. At autopsy, 50%–60% of the population is found to have a thyroid nodule. However, the reservoir of clinically silent impalpable nodules is truly expanded when high-resolution US is utilized for thyroid evaluation. Up to 67% of the population evaluated with US will have an incidental thyroid nodule (3). Conservatively, if 50% of the U.S. population (approximately 300 million) has a nodule, we are dealing with a potential reservoir of 150 million Americans with a thyroid nodule. This pool of patients is only awaiting US interrogation in order to classify thyroid nodules requiring diagnostic assessment and categorization as benign or malignant. Confirming the power of US, there has been a 2.4-fold increase in the reported incidence of thyroid nodules in the past 3 decades that is directly related to the use of US to search for thyroid nodules. Also contributing to this expanding pool of thyroid nodules is the incidental detection of nodules via computed tomography and magnetic resonance imaging (2). This increase in the detection of nodules has been accompanied by a three-fold increase in thyroid aspirates in the decade of 1995–2005 (4). A recent trend in the utilization of in-office US, often by endocrinologists, is accelerating the utilization of US in the general patient population and contributing to the detection of these nonpalpable nodules (5). Once a thyroid nodule is detected, the binary question remains, is it benign or malignant? Depending on the published series referenced, 6%–13% of thyroid nodules chosen for FNA will yield malignancy (2,6). Surprisingly, size is not a factor in determining the rate of malignancy. In fact, the incidence of thyroid cancer identified in nonpalpable thyroid nodules is the same as that identified in patients with palpable nodules (3). The majority of thyroid cancers detected incidentally are papillary in origin. Unlike its malevolent associate anaplastic thyroid cancer, which while accounting for only 1%–2% of thyroid cancers is responsible for over half the cancer deaths, papillary thyroid cancer is very benign (7). The American Cancer Society estimated in 2005 that 25,690 new cancers of the thyroid were reported and 1460 individuals died of thyroid malignancy (8). Since papillary is the dominant thyroid cancer and is well differentiated, the prognosis is remarkably good, with a reported 30-year survival of 95% (8). With these facts in mind, despite the exponential increase in the detection of both nodules and thyroid malignancy, the incidence of thyroid deaths has been stable during the past 40 years. The entire increase in thyroid malignancy is secondary to papillary cancers and is related to the increased diagnostic scrutiny resulting in an apparent increase in incidence of thyroid cancer that is all papillary (5). This nonpalpable thyroid cancer has little biologic significance (9). In fact, in an autopsy series, Harach et al (10) opined that occult papillary cancer might well be a “normal” finding. Utilizing 2–3-mm sections of the thyroid in 101 autopsies, they located papillary cancer in 36% of people—all without any signs or symptoms during their life (10). Because of the discrepancy between the prevalence of clinically apparent thyroid cancer and occult thyroid cancer, it is believed that most occult thyroid cancers have little biologic significance. Arch Otolaryngol Head Neck Surg. 2007;133(7):639-643. We seem to be facing an epidemic of thyroid cancer. After a relatively long period of stability, the incidence of thyroid cancer has virtually doubled in the past 20 years.7 At a time when the incidence of most cancers is either decreasing, relatively stable, or increasing only minimally, thyroid cancer is increasing at a rate far greater than any other cancer in this country; a rate that is now approaching 7% a year. I do not believe that this epidemic is real. It is due to improved diagnostic scrutiny, ultrasonography, and other imaging studies and the increasing use of ultrasound-guided FNAB. We may be diagnosing and treating cancers that have no clinical significance. We have embarked on a quixotic quest to rid our patients of microscopic and probably clinically unimportant thyroid cancer. We need to refocus our efforts, not to detect more occult disease, but to identify and cure those few patients whose disease is likely to shorten their lives. We need to improve our accuracy in the evaluation of the indeterminate thyroid nodule. We are performing far too many unnecessary thyroidectomies. We need to have a greater appreciation of the importance of risk stratification in predicting not only those who will do well, but those who will almost certainly do poorly. We need to concentrate less on the detection of subclinical disease and more on the identification of patients with clinically low-risk disease who are at a higher risk of recurrence. We need to learn to identify those patients with small cancers who perhaps do not need any treatment at all. Finally, we need to improve our treatment of patients with advanced and aggressive disease. I have been privileged, in the 28 years that I have been in practice, to have personally operated on and cared for almost 1000 patients with thyroid cancer, including being the initial operating surgeon on about 800 patients with differentiated thyroid cancer (DTC). I compared 100 consecutive patients operated on between 1991 and 1995 with the most recent 100 patients with DTC and determined the way in which these thyroid cancers were initially discovered (Table 1). There has been a profound change in these 15 years. In the earlier group, neck masses were felt by the physician or patient in about 90%, including 9% with palpable nodes. In recent times, patients presenting with palpable nodes have been rare, but 27% of cancers were discovered with imaging studies. These have included carotid duplex scans, magnetic resonance imaging scans of the neck to evaluate neck pain, and more recently positron emission tomographic scans performed to evaluate other malignant lesions. They also include what I consider unindicated thyroid imaging, for example, in patients who have vague complaints that are not an appropriate indication for ultrasonography. We are finding cancers now that would not have been found 15 years ago. There is no longer a controversy about the extent of surgery to be performed or the need for radioactive iodine (RAI) ablation. Most endocrinologists in this country believe that the appropriate initial treatment for almost all DTC is total or near-total thyroidectomy followed by RAI ablation. I know that there are those of you who disagree strongly with this approach, but I believe this is the standard of care for most patients in the United States today. We know that occult lateral cervical lymph node metastases are common. In 1971, Attie et al11 presented their experience with elective neck dissection for DTC. In 115 patients who underwent elective neck dissection, 69% had positive nodes. In their patients with positive nodes there were no recurrences or deaths. In 1996, Grebe and Hay12 published an excellent review of the literature, including all articles correlating the presence of metastatic disease in the neck with prognosis. Not a single article demonstrated a correlation between positive nodes and ultimate survival in patients with papillary cancer. The vast majority of articles showed no correlation with prognosis in patients with follicular or mixed papillary and follicular carcinoma. It seems safe to conclude that not only does an elevated stimulated thyroglobulin detect disease but an undetectable stimulated thyroglobulin at the first initial follow-up evaluation is predictive of cure and that RAI scanning provides little additional information. All of these studies, guidelines, and recommendations lack data that prove that the presence of these minimally involved lymph nodes in any way affects the patient’s prognosis nor are there any data that the removal or treatment of these nodes improves their survival. I find these guidelines very troubling for those reasons. While the incidence of thyroid cancer has increased dramatically, the death rate has been stable. How is this explained? One might assume that our treatments are getting better. I do not really believe that is the case. It is helpful to identify which patients actually die of thyroid cancer. The National Cancer Database includes more than 50 000 patients with thyroid cancer treated between 1985 and 1995.24 In that cohort, 2% of patients had anaplastic thyroid cancer, with a mortality of 85%. Extrapolating that to our current number of thyroid cancers per year we would expect roughly 500 deaths this year from anaplastic cancer. A similar calculation for medullary cancer yields an additional 300 deaths. Patients with DTC who present with stage IV disease were found to have 50% mortality. That would account for another 150 deaths. About 1000 of the 1500 deaths expected this year would be due to these aggressive cancers. In addition, other aggressive histologic subtypes such as tall cell and insular carcinoma need to be considered as well as other high-risk patients. Even if these calculations overestimate the number of aggressive cancers, the obvious conclusion is that very few patients die of apparently curable, low-risk thyroid cancer. Most patients who ultimately die of thyroid cancer can be identified at the time of their initial treatment and followed up aggressively and appropriately. We found that the incidence of thyroid cancer in the United States more than doubled over the past 30 years and that 87% of the increase was due to the diagnosis of small papillary cancers. Mortality remained stable during this period. Given the known prevalence of small, asymptomatic papillary thyroid cancers at autopsy, we believe this suggests that increased diagnostic scrutiny has caused an apparent increase in incidence of cancer rather than a real increase. For the forgoing findings to be explained by an increase in the true occurrence of disease, several conditions would need to be met. First, there would have to be a substantial increase in the major risk factor for the disease, ie, radiation. 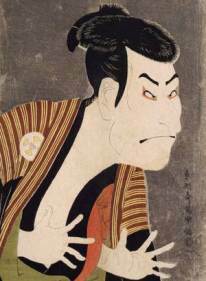 However, if anything, radiation exposure is less common today than it was in the past. The last major nuclear atmospheric tests in the United States were conducted in 1961.16 Therapeutic radiation for common benign diseases of the head and neck has not been used since the late 1950s, when it was used for multiple conditions such as acne, adenoid hypertrophy, tinea capitis, and thymus enlargement.16 Second, detection and treatment would have to improve in order to keep mortality stable. These advances would need to match the pace of the underlying increase in disease burden; they could not be too slow or mortality would increase, and they could not be too fast or mortality would decrease. Some might argue that, while there has been an increase in the true occurrence of disease, there has not been enough time for increased mortality to appear. However, for this to be an explanation for the trend here, the lead time would have to be extraordinarily long—greater than the 30 years in which mortality has been stable. Another possible explanation is that increasing incidence in the face of stable mortality represents a new category of thyroid cancer—symptomatic but not lethal. That is, there might be a growing number of people with thyroid cancer who are symptomatic but who will not die from their disease. The SEER data provide some evidence that this could explain, at best, only a small portion of the increase. One marker of increased symptoms from papillary cancer relates to the incidence of metastatic disease; however, this changed little over our analysis period (the incidence of metastatic papillary cancer increased by 0.15 per 100 000, while the overall incidence of papillary cancer increased by 5 per 100 000). Local symptoms from papillary cancer largely relate to size, resulting in dysphagia and orthopnea, and would generally be seen in cancers larger than 5 cm. The incidence of these large cancers also changed little (<3% of the increased incidence from 1988 to 2002 involved cancers of this size). Small cancers can become locally invasive and cause dysphagia or orthopnea, but this type of progression typically occurs when they are of the poorly differentiated type, and these categories of cancer (anaplastic and medullary) have also remained stable. Alternatively, these changes could be explained by a change in the pathological criteria for thyroid cancer. The World Health Organization histological criteria for diagnosis of papillary thyroid cancer remained the same between 1988 and 2002, a period during which incidence of this category nearly doubled.17 While one might argue that the criteria could nevertheless have changed in practice, the finding that one third of adults harbor subclinical papillary cancer was based on pathological criteria from the early 1980s—making it difficult to believe that the pathological threshold for papillary cancer has decreased substantially since then. The case for overdiagnosis is strengthened because almost all the increased incidence is attributable to the detection of small cancers best discovered by use of the new technologies—ultrasound and fine-needle aspiration. In the 1980s, ultrasound came into widespread use.19 While thyroid ultrasound cannot diagnose a thyroid nodule as malignant, it can detect nodules as small as 0.2 cm. Thus, ultrasound is much more sensitive than physical examination alone, which only detects nodules that are nearly an order of magnitude larger, and physical examination has relatively low sensitivity (detects only about 40% of nodules >1.5 cm).20 The second technology is fine-needle aspiration, which became widely adopted in the 1990s. Fine-needle aspiration allows for cytological assessment of a thyroid mass and can be performed quickly during an office visit.21 It has largely replaced nuclear medicine scans, much more involved tests that required dietary restrictions prior to the test, took several hours to complete, and frequently produced indeterminate results. The combination of the ability to detect small nodules and then aspirate their contents has clearly facilitated the diagnosis of these smaller cancers. Overdiagnosis is a cause for concern because it makes it hard to identify which patients need treatment. In our data, most patients diagnosed with thyroid cancer underwent total thyroidectomy. This was the case even if the cancer was papillary and very small—75% of those with papillary cancers found to measure less than 1 cm underwent the procedure. Total thyroidectomy carries small but significant risks of operative complications, including permanent hypoparathyroidism and damage to the recurrent laryngeal nerve, which can result in chronic aspiration and compromised voice quality. Additionally, thyroidectomy commits the patient to a lifetime of thyroid replacement therapy and, as of recently, a recommendation of long-term surveillance for recurrent disease. Furthermore, there are reasons to worry that the problem of identifying which patients need treatment will only get worse. Masses in the thyroid gland, which might prompt testing for thyroid cancer, are very common. Twenty percent of US adults have a palpable lesion of the thyroid gland, and 67% have a mass that can be visualized on ultrasound.22 While thyroid ultrasound has traditionally been performed in the radiology department, it is increasingly performed in the physician’s office. If ultrasound continues to grow as an office-based adjunct to physical examination, there could be a dramatic increase in the number of nodules—and, ultimately cancers—identified. We found an increase in the apparent incidence of thyroid cancer without any clinical impact on mortality. Further studies will be needed to determine if a more cautious diagnostic approach—perhaps simply providing follow-up for symptomatic thyroid nodules—is worthwhile. In addition, papillary cancers smaller than 1 cm could be classified as a normal finding. Thyroid Nodules by MARY JO WELKER, M.D., and DIANE ORLOV, M.S., C.N.P. The majority of thyroid cancers detected incidentally are papillary in origin. Unlike its malevolent associate anaplastic thyroid cancer, which while accounting for only 1%–2% of thyroid cancers is responsible for over half the cancer deaths, papillary thyroid cancer is very benign (7). The American Cancer Society estimated in 2005 that 25 690 new cancers of the thyroid were reported and 1460 individuals died of thyroid malignancy (8). Since papillary is the dominant thyroid cancer and is well differentiated, the prognosis is remarkably good, with a reported 30-year survival of 95% (8). With these facts in mind, despite the exponential increase in the detection of both nodules and thyroid malignancy, the incidence of thyroid deaths has been stable during the past 40 years. The entire increase in thyroid malignancy is secondary to papillary cancers and is related to the increased diagnostic scrutiny resulting in an apparent increase in incidence of thyroid cancer that is all papillary (5). This nonpalpable thyroid cancer has little biologic significance (9). In fact, in an autopsy series, Harach et al (10) opined that occult papillary cancer might well be a “normal” finding. Utilizing 2–3-mm sections of the thyroid in 101 autopsies, they located papillary cancer in 36% of people—all without any signs or symptoms during their life (10). As Ross (4) pointed out to his endocrinology colleagues, we have an epidemic of thyroid nodules secondary to technology. There is no proof that our intervention on these nonpalpable nodules has any effect on improving the health and welfare of the population. CMAJ • November 20, 2007; 177 (11). doi:10.1503/cmaj.071464. Explaining the increasing incidence of differentiated thyroid cancer by Jacques How, MB ChB and Roger Tabah, MD Jacques How is with the Division of Endocrinology and Roger Tabah is with the Department of Surgery, Montreal General Hospital, McGill University Health Centre, Montréal, Que. Davies and Welch attribute the increasing incidence of PTC to overdiagnosis or “increased diagnostic scrutiny,” which makes it difficult to identify which patients need treatment, but they also caution that this problem is only likely to get worse, suggesting that small asymptomatic thyroid nodules should be followed up for a period of time without immediately initiating diagnostic investigation. Occult papillary carcinoma of the thyroid. A “normal” finding in Finland. A systematic autopsy study. by Harach HR, Franssila KO, Wasenius VM. The thyroids from 101 consecutive autopsies from Finland were subserially sectioned at 2- to 3-mm intervals. From 36 thyroids, 52 foci of occult papillary carcinoma (OPC) were found, giving a prevalence rate of 35.6%, the highest reported rate in the world. The rate was higher, although not significantly, in males (43.3%) than in females (27.1%), but it did not correlate to the age of the patients. Twenty-six glands contained one tumor focus and ten glands contained two to five tumor foci. Only a minority of the smallest tumors can be detected with the method used. The probable number of OPCs over 0.15 mm in diameter was calculated to be about 300 in this material. The tumor diameter varied from 0.15 mm to 14.0 mm, with 67% of tumors under 1.0 mm. The smallest tumors were usually circumscribed and were composed almost solely of follicles. Larger tumors had more papillary structures and were often invasive. Fibrosis and, in the largest OPCs, lymphocytic reaction were seen around the invasive islands. All tumors were positively stained for thyroglobulin and all but one of the tumors stained positively for epidermal keratin. OPC appears to arise from follicular cells of normal follicles. Apparently the great majority of the tumors remain small and circumscribed and even from those few tumors that grow larger and become invasive OPCs only a minimal proportion will ever become a clinical carcinoma. According to the study, OPC can be regarded as a normal finding which should not be treated when incidentally found. In order to avoid unnecessary operations it is suggested that incidentally found small OPCs (less than 5 mm in diameter) were called occult papillary tumor instead of carcinoma. Influence of iodine deficiency and iodine prophylaxis on thyroid cancer histotypes and incidence in endemic goiter area. Huszno B, Szybinski Z, Przybylik-Mazurek E, Stachura J, Trofimiuk M, Buziak-Bereza M, Golkowski F, Pantoflinski J. The aim of the study was to evaluate the correlation between thyroid cancer histotype and incidence rate (IR) and iodine nutrition level in two endemic goiter areas: the districts of Krakow and Nowy Sacz. The suspension of iodine prophylaxis in Poland in 1980 resulted in increased goiter prevalence in schoolchildren and adults and elevated TSH levels in newborns in the early 1990s. Since 1992 a rise in thyroid cancer IR was observed. Thyroid cancer IR in the Krakow population was 2.22 in 1986; 3.62 in 1995 and 6.02 in 2001; in Nowy Sacz: 1.52; 2.59 and 3.88 respectively. In 1986 papillary/follicular cancer ratio in both areas was about 1.0–the value typical of iodine deficient areas. After restoring the obligatory iodine prophylaxis in 1997, a significant decrease in elevated TSH concentration in newborns and urinary iodine concentration increase in schoolchildren were observed. A relative rise in the incidence of papillary thyroid cancer and decrease in follicular cancer, resulting in rise in papillary/follicular thyroid cancer ratio up to 5.9 in 2001 was also observed. Since 1999 no further thyroid cancer IR increase was noted. In conclusion, a significant increase in differentiated thyroid cancer IR was observed in association with the iodine prophylaxis suspension. Changes in thyroid cancer histotypes in 1986-2001 and a significant decrease in incremental rate of differentiated thyroid cancer probably reflect the influence of effective iodine prophylaxis. The significant difference between IR of thyroid cancer incidence in the districts of Krakow and Nowy Sacz may be related to differences in the exposure to radiation after the Chernobyl accident. Incidence and clinical characteristics of thyroid carcinoma after iodine prophylaxis in an endemic goiter country. Bacher-Stier C, Riccabona G, Tötsch M, Kemmler G, Oberaigner W, Moncayo R. Department of Nuclear Medicine, University of Innsbruck, Austria. Iodized salt prophylaxis has been performed in Austria since 1963. Through this approach, mean urinary iodine excretion has been normalized to 144+/-23.5 microg/g creatinine per day. Thus Tyrol is no longer an endemic goiter area. We have analyzed the impact of iodized salt prophylaxis on thyroid cancer (TC) comparing data from the early 1960s with those corresponding to the period 1986 to 1995, when iodine supply was normalized. The study included 439 patients from Tyrol and Southern Tyrol. The incidence of TC in Tyrol has risen during the past decades from 3.07 between in 1957 and 1970 to 7.8 between 1990 and 1994 (CR/100000/year). We observed a rise in the percentage of differentiated adenocarcinomas (56% to 91.5%) with a predominance of papillary TC (54.4%) along with a decrease of anaplastic TC. In addition to these histological features, a shift to less advanced TNM stages, eg, T1-3, N0-1a, M0, was obvious, increasing from 29% to 72.2%, whereas advanced tumors, ie, T4 or N1b or M1, decreased from 71% to 28%. These changes have significantly improved prognosis. The current 5-year survival rate is 90.7% as compared with a rate of 73% in the 1960s; the values for 7-year survival are 89% and 48%, respectively. The marked effects of age, tumor stages, and histology on prognosis were confirmed with the Kaplan-Meier method. We conclude that together with normalization of iodine supply in an endemic goiter region the epidemiological profile of TC has changed. Even though the incidence of TC has risen, prognosis has significantly improved due to a shift towards differentiated forms of TC that are diagnosed at earlier stages. (5.) Schaller RT Jr, Stevenson JK. Development of carcinoma of the thyroid in iodine-deficient mice. Cancer 1966;19:1063-1080. (6.) Mellemgaard A, From G, Jorgensen T, et al. Cancer risk in individuals with benign thyroid disorders. Thyroid 1998;8:751-754. (7.) Burgess JR, Dwyer T, McArdle K, et al. The changing incidence and spectrum of thyroid carcinoma in Tasmania (1978-1998) during a transition from iodine sufficiency to iodine deficiency. J Clin Endocrinol Metab 2000;85:1513-1517. (8.) Franceschi S, Preston-Martin S, Dal Maso L, et al. A pooled analysis of case-control studies of thyroid cancer. IV. Benign thyroid diseases. Cancer Causes Control 1999;10:583-595. An analysis of thyroid cancer morbidity was carried out in two adjacent areas of Sicily differing in iodine intake. A consecutive series of 911 patients with cold nodules from an iodine-deficient area (IDA) and 2537 from a control area (CA) were examined by fine needle aspiration and selected for surgery and pathologic examination. Malignancies were found in 27 of the patients (2.96%) from the IDA and in 139 patients (5.48%) from the CA. Based on a population survey indicating that cold thyroid nodules were 2.5 times more frequent in the IDA with respect to the CA, we calculated a prevalence of 127 thyroid cancers per 105 inhabitants in the IDA versus 93 in the CA (P < 0.001). Moreover, follicular and anaplastic carcinomas were three times more frequent in the IDA than in the CA (75 versus 24 cases per 105 inhabitants, respectively). These studies indicate that iodine deficiency may be one factor in the development of certain thyroid malignancies in man. There is no doubt that introduction of universal iodine prophylaxis in population previously in chronic iodine-deficiency leads to a changing pattern of more prevalent papillary thyroid cancer and declining of follicular thyroid cancer. Also anaplastic thyroid cancer is practically not seen after years of iodine supplementation. [Epidemiology of thyroid tumors: effect of environmental iodine intake] [Article in Japanese] Kasagi K. Department of Internal Medicine, Takamatsu Red Cross Hospital. The incidence of thyroid cancer has been reported to be 0.5-1.3%, when assessed by sonographic examination and 3.7-28.4% by histologic examination at autopsies. These incidences are much higher than those of clinically evident thyroid cancer, which are 2.0/100,000 for males and 7.2/100,000 for females, reported in Japan. In iodine deficient areas, chronic stimulation by TSH causes multinodular autonomous growth and function, leading to hyperthyroidism in middle-aged and elderly subjects. Incidence of Plummer’s disease among Japanese with sufficient iodine intake is very low, accounting for 0.5-0.8% of all thyroid nodules and 0.3% of all thyrotoxic patients. The Plummer/Graves ratio was higher than 1 in endemic goiter area before iodine supplementation. Iodine intake affects the type of thyroid carcinoma. Decreased intake of iodine is associated with higher frequency of follicular and anaplastic cancers and lower frequency of papillary cancer. The high prevalence of papillary cancer(>85%) with good prognosis may explain the preferred selection of partial rather than total thyroidectomy in Japan. Laryngoscope. 2009 Aug 4. [Epub ahead of print] Survival impact of treatment options for papillary microcarcinoma of the thyroid. Lin HW, Bhattacharyya N. Department of Otolaryngology, Massachusetts Eye and Ear Infirmary, Boston, Massachusetts, U.S.A.
OBJECTIVES/HYPOTHESIS:: Evaluate the impact of medical and surgical interventions on the survival of patients with papillary microcarcinoma (PMC) of the thyroid, a common tumor with an increasing worldwide incidence. STUDY DESIGN:: Cross-sectional population analysis of a prospectively maintained database. METHODS:: Cases of nonmetastatic PMC treated with cancer-directed surgery with or without postoperative radioactive iodine (RAI) therapy were extracted from the Surveillance, Epidemiology and End Results Database (1988-2005). Kaplan-Meier disease-specific survival (DSS) and overall survivals were compared according to extent of thyroidectomy and use of RAI therapy. Cox regression analysis was performed to determine the influence of these factors on survival. RESULTS:: A total of 7,818 cases of PMC were identified. Overall actuarial survival rates at 10 and 15 years were 96.6% and 96.3%, respectively. DSS was 99.9% at both time intervals, with a total of 10 thyroid cancer-related deaths. There were no significant differences in DSS for patients who underwent total thyroidectomy, near-total/subtotal thyroidectomy, or lobectomy (P = .239). DSS for patients receiving RAI therapy was not significantly different than that of patients who did not (P = .504). On multivariate analysis, only increasing age at diagnosis, successfully predicted poor DSS (P = .001), whereas gender (P = .481), use of RAI therapy (P = .633), and extent of thyroidectomy (P = .104) did not. CONCLUSIONS:: PMC carries an excellent prognosis with respect to both overall and disease-specific survival that is independent of surgical extent and the use of RAI therapy. An isolated, fine-needle-aspiration proven unilateral PMC focus in a patient lacking evidence of metastatic disease may be treated with lobectomy alone. Laryngoscope, 2009. The study aims were to characterize patients with papillary thyroid microcarcinoma (PTM) and to provide data on long-term outcome. About 900 patients with PTM (tumor size 1 cm or less) had treatment at our centre during 1945–2004. Follow-up extended to 54 years. Mean follow-up for 638 survivors was 13.5 years. Recurrence and mortality details were derived from a computerized database. Median tumour size was 7 mm. About 99% of tumors were grade 1; 98% were not locally invasive. About 30% of patients had nodal metastases at presentation. Three (0.3%) had distant spread at diagnosis. About 85% underwent bilateral lobar resection; regional nodes were removed by either ‘node picking’ (27%) or an appropriate compartmental dissection (33%). Tumor resection was incomplete in five cases (0.6%). Radioiodine remnant ablation (RRA) was performed in 155 patients (17%). All-causes survival did not differ from expected (P=0.08); three patients (0.3%), to date, have died of PTM. None of 892 patients with initial complete tumor resection had distant spread during 20 postoperative years. No localized tumor in a female patient was fatal, and no male patient died of PTM in the first 30 postoperative years. Twenty-year and 40-year tumour recurrence rates were 6% and 9%. About 81% of postoperative recurrences have been in regional neck nodes. Higher recurrence rates were seen with multicentric tumors (P=0.002) and node-positive patients (P<0.001), but not after unilateral lobectomy (P=0.49). Tumor recurrence rates did not appear to be significantly improved by RRA (P=0.093). These results reaffirm that papillary microcarcinoma has an excellent prognosis, if primary tumor is completely resected. More than 99% of PTM patients are not threatened by the risks of distant spread or cancer mortality. Neither the performance of a total thyroidectomy, nor the administration of postoperative RRA, improved outcome during 40 years, in terms of either tumor recurrence or cause-specific mortality. Ian Hay, Maeve Hutchinson, Megan Reinalda, Clive Grant, Bryan McIver & Geoffrey Thompson Mayo Clinic, Rochester, Minnesota, USA. The initial management of thyroid cancer has attracted considerable attention in recent years, mainly because of its relentlessly rising incidence, which increased 2.4-fold from 1973 to 2000. This is almost entirely attributable to a nearly threefold increase in papillary thyroid cancer, which is by far the most common form of the disease, comprising over 80% of all thyroid cancers (throughout this review, percentages are rounded to the nearest integer). Between 1988 and 2002, when thyroid cancer tumor size was first included in the National Cancer Institute’s Surviellance, Epidemiology and End Results (SEER) database, it became apparent that nearly half the thyroid cancers diagnosed during this period were papillary microcarcinomas 1 cm or smaller, and nearly 90% were papillary cancers 2 cm or smaller. Tumors of this size are widely acknowledged to be associated with low mortality rates, and the overall mortality rates for thyroid cancer during this period remained stable at 0.5 deaths per 100,000 persons in the population. Papillary thyroid carcinoma accounts for about 80% of all thyroid carcinomas in the United States. The incidence of thyroid cancer increased from 3.6 per 100,000 in 1973 to 8.7 per 100,000 in 2002—a 2.4-fold increase. Virtually the entire increase is attributable to an increase in the incidence of papillary thyroid cancer, which increased from 2.7 to 7.7 per 100,000—a 2.9-fold increase. Between 1988 (the first year SEER collected data on tumor size) and 2002, 49% of the increase consisted of cancers measuring 1 cm or smaller. These trends, combined with the known existence of a substantial reservoir of subclinical cancer and stable overall mortality, suggest that increasing incidence reflects increased detection of subclinical disease, not an increase in the true occurrence of thyroid cancer. RADIOIODINE PROBABLY OVERTREATMENT FOR MOST THYROID CANCER PATIENTS August 12, 2009 — Surgery is a standard treatment for thyroid cancer. The recommended operation for differentiated thyroid cancer is a total thyroidectomy, and the standard follow-up treatment is radioiodine remnant ablation therapy (RRA), which acts as a “radioactive eraser,” destroying any thyroid tissue that has been left. This is routine clinical practice in the United States, but should it be? A prominent expert in the field argues that for the majority of patients who receive it, RRA represents overtreatment, with no documented benefit and a possibility for harm. Ian D. Hay, MD, PhD, professor of medicine at the Mayo Clinic in Rochester, Minnesota, mounted a detailed and passionate argument against the use of RRA in a keynote lecture here at the World Congress on Thyroid Cancer 2009. The majority of patients (>80%) with thyroid cancer have papillary thyroid cancer (PTC), and the majority of PTC patients (about 80% to 85%) are considered low risk. “This is the most common thyroid cancer, and the best one to have,” Dr. Hay said, adding that these patients, after surgery, have a less than 1% chance of dying from their disease. There is no evidence that RRA is beneficial in this group, Dr. Hay told meeting attendees. There are no clinical trials or prospective data, he noted. But large reviews of retrospective data have shown that RRA in low-risk PTC patients does not reduce the risk for relapse and does not affect recurrence rates, either at local or distant sites, which is the raison d’etre for using this treatment, he explained. So there is no benefit, but there is a potential for harm, including an increase in the risk for a second primary nonthyroid cancer. Data from the US show that there has been an exponential increase in both detection of thyroid nodules, and also of thyroid malignancy. The majority of these cases are papillary carcinoma. It should be noted that despite these increases, the rate of cancer deaths secondary to thyroid cancer have largely remained stable. Papillary thyroid cancer, the commonest type is after all, a relatively benign tumour with excellent prognosis (30 year survival rate 95% (3)). However, we are conscious of the fact that the use of the term carcinoma in a pathology report sends to both surgeon and patient a message with a considerable therapeutic, prognostic, psychologic, and financial impact, and we are also aware that these implications are not necessarily tempered by whatever qualifiers and comments one may choose to include in the report. As a result, whenever the diagnosis of PMiC is made, the definite possibility exists that the repercussions of this diagnosis will be far greater that those justified by the biologic potential of the neoplasm. The proposal was therefore discussed at the Porto meeting to rename this entity in a way that would avoid these potential untoward effects while still accurately reflecting its nature. After considering and discarding several alternatives, the term papillary microtumor (PMiT) was chosen, since it was felt that it was the one coming closer to the fulfillment of these requirements. 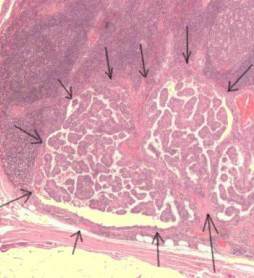 To wit, it indicates the fact that the lesion is of small size, that it is a neoplastic process (remaining purposefully noncommittal about its malignant potential, because while the tumor may show microscopic local invasion, it is clinically benign), and that it belongs to the papillary family of neoplasms. In conclusion, in most patients with nonpalpable thyroid lesions, the risk for clinically malignant disease is low. Moreover, occult papillary tumors that are smaller than 1.5 cm in diameter grow slowly, and patients with such tumors have an excellent prognosis. It does not seem necessary, practical, or cost-effective to do a biopsy on or to surgically excise all nonpalpable nodules. Our treatment strategy is to observe incidentalomas that are smaller than 1.5 cm in diameter in patients who have a low risk for thyroid cancer (Figure 1). On the other hand, because nonpalpable papillary thyroid cancer is sometimes associated with local or even distant metastases, the incidentaloma cannot be dismissed as unimportant and careful follow-up is necessary. 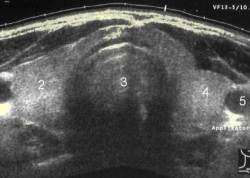 In patients who have nodules larger than 1.5 cm in diameter, a history of head or neck irradiation (particularly in childhood), a strong family history of thyroid cancer, or ultrasonographic findings that suggest malignancy, the next appropriate step is ultrasonographically guided biopsy. Treatment should then be determined on the basis of the cytologic diagnosis. We do not advocate thyroxine suppressive therapy for either a cytologically proven benign nodule that is larger than 1.5 cm in diameter or a benign-appearing nodule that is smaller than 1.5 cm in diameter detected ultrasonographically . Therefore, most nonpalpable nodules do not require immediate treatment and should be followed up simply with palpation. Biopsy should be done if and when the nodules become palpable. 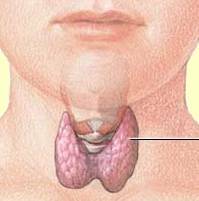 Thyroid. 2003 Apr;13(4):381-7. An observation trial without surgical treatment in patients with papillary microcarcinoma of the thyroid. Ito Y, Uruno T, Nakano K, Takamura Y, Miya A, Kobayashi K, Yokozawa T, Matsuzuka F, Kuma S, Kuma K, Miyauchi A. The recent prevalence of ultrasound-guided fine-needle aspiration biopsy has resulted in a marked increase in the number of patients with papillary microcarcinoma (maximum diameter, </= 10 mm) of the thyroid detected by this sophisticated tool. On the other hand, it is debatable whether patients with papillary microcarcinoma should always undergo surgery after diagnosis, because a high incidence of occult papillary carcinoma has been observed in autopsy studies. Thus, we proposed observation without surgical therapy as a treatment option in 732 patients diagnosed with papillary microcarcinoma by the above technique from 1993 to 2001. One hundred sixty-two patients chose observation and were classified as the observation group. During the follow-up period for patients in the observation group, more than 70% of tumors either did not change or decreased in size compared to their initial size at diagnosis. They enlarged by more than 10 mm in 10.2%, and lymph node metastasis in the lateral compartments appeared in only 1.2% of patients during follow-up. On the other hand, 570 patients chose surgical treatment at diagnosis and 56 patients in the observation group who underwent surgery after a period of follow-up were classified as the surgical treatment group. Of these 626 patients, lymph node dissection was performed in 594 patients, and metastasis was confirmed histologically in 50.5%. Multiple tumor formation was seen in 42.8% of patients. In this group, the rate of recurrence was 2.7% at 5 years and 5.0% at 8 years after surgery. Our preliminary data suggest that papillary microcarcinomas do not frequently become clinically apparent, and that patients can choose observation while their tumors are not progressing, although they are pathologically multifocal and involve lymph nodes in high incidence. World J Surg. 2004 Nov;28(11):1115-21. Papillary microcarcinoma of the thyroid: how should it be treated? Ito Y, Tomoda C, Uruno T, Takamura Y, Miya A, Kobayashi K, Matsuzuka F, Kuma K, Miyauchi A. Department of Surgery, Kuma Hospital, Chuo-ku, 650-0011 Kobe City, Japan. We previously demonstrated that (1) most papillary microcarcinomas can be followed without surgical treatment and (2) when surgery is performed, patients with lateral lymph node metastasis detected on preoperative ultrasonography (US) are more likely to develop recurrence. In this study, we further investigated the application of these strategies. To date, we have observed 211 patients (average follow-up 47.9 months). In more than 70% of these patients the tumor size did not increase during the follow-up period. There were no clinicopathologic features linked to tumor enlargement except in tumors > or = 7 mm, which tended to enlarge in patients followed for 4 years. To evaluate not only whether observation can continue but also how to dissect the lymph nodes optimally at surgery, US diagnosis for lateral node metastasis is essential because the presence of US-diagnosed lateral metastasis is an even stronger predictive marker for recurrence than the presence of pathologically confirmed node metastasis. The positive predictive value (PPV) was 80.6% for US but reached 100% if fine-needle aspiration biopsy (FNA of nodes or FNAB-thyroglobulin measurement is added. Furthermore, carcinomas occupying the upper region of the thyroid more frequently showed US-diagnosed and pathologically confirmed lateral metastasis, and those measuring > or = 7 mm were more likely to show pathologically confirmed lateral metastasis. These findings suggest that, for papillary microcarcinoma: (1) US-diagnosed lateral metastasis is a strong marker predicting a worse relapse-free survival; (2) FNAB of nodes and FNAB-thyroglobulin measurement are useful tools for evaluating lymph node metastasis; and (3) careful US evaluation for lateral metastasis is necessary in patients with a tumor measuring > or = 7 mm or that is located in the upper region of the thyroid both during observation and preoperatively. Long-term follow-up for patients with papillary thyroid carcinoma treated as benign nodules. Ito Y, Higashiyama T, Takamura Y, Miya A, Kobayashi K, Matsuzuka F, Kuma K, Miyauchi A. BACKGROUND: The recent prevalence of ultrasonography and fine-needle aspiration biopsy (FNA has facilitated the detection and diagnosis of papillary thyroid carcinoma. However, there are still cases that are preoperatively misdiagnosed and treated as benign nodules because ultrasonographic and FNAB findings do not provide sufficient evidence for a malignant diagnosis. In this study, we investigated the clinical outcomes of patients with papillary carcinoma that had not been recognized preoperatively. PATIENTS AND METHODS: We investigated the prognoses of 56 patients with papillary carcinoma who underwent thyroidectomy without node dissection under a diagnosis of benign nodules. RESULTS: None of the patients underwent further surgery such as completion total thyroidectomy and node dissection after the pathological diagnosis of papillary carcinoma was established. However, to date, only 3 patients (5.3%) showed recurrence 116, 133 and 148 months after the initial surgery, respectively. Two patients showed recurrence in the remnant thyroid and one showed recurrence in the bone. None of the patients have died of thyroid carcinoma. CONCLUSION: Papillary carcinomas misdiagnosed as benign nodules on ultrasonography and FNAB are indolent and very slow-growing. Immediate further surgery is not needed for such cases, even if they were resected as benign nodules at the initial surgery. http://www.pubmedcentral.nih.gov/articlerender.fcgi?artid=1770442 J Clin Pathol. 2004 October; 57(10): 1041–1046. Interestingly, lymph node metastases (usually micrometastases) can be detected in a significant percentage of patients with PTMC (up to 40%) and, in a small percentage of patients, these metastases may precede the clinical evidence of the primary tumor. Comparative genomic hybridization, BRAF, RAS, RET, and oligo-array analysis in aneuploid papillary thyroid carcinomas. Rodrigues R, Roque L, Espadinha C, Pinto A, Domingues R, Dinis J, Catarino A, Pereira T, Leite V.
Cytogenetic Laboratory, CIPM, Portuguese Cancer Institute, 1099-023 Lisbon, Portugal. Aneuploidy in papillary thyroid carcinomas (PTCs) is considered a marker of worse prognosis. Multiple genetic surveys have been performed in PTCs, however, we are not aware of any such studies in aneuploid PTCs. In order to contribute to a better comprehension of the genetic basis of this neoplasm’s more aggressive behaviour in 17 aneuploid PTCs we performed a comparative genomic hybridization (CGH) analysis, studied the BRAF and RAS mutational status, searched for RET/PTC1 and RET/PTC3 rearrangements and determined their expression profile. Array results were validated by TaqMan and immunohistochemistry. CGH revealed multiple non-random chromosomal abnormalities. BRAFV600E and RAS mutations were found in 41.2% and 33% of the carcinomas respectively. None of the studied cases presented RET/PTC1 or RET/PTC3 rearrangement. When comparing array data with the chromosomal, mutational and clinical data we found that: a) loss of control of cellular transcription was of major relevance in this group of neoplasms, HMGA2 being one of the most overexpressed genes; b) gene expression correlated with the mutational status of PTCs, as in BRAF+ cases cMET and FN1 were concomitantly overexpressed; and c) death from disease and distant metastasis was associated to the overexpression of DDR2 and to the down-regulation of genes involved in immune, inflammatory response, signal transduction and cell adhesion processes. In conclusion we have identified in aneuploid PTCs a group of significantly altered molecules that may represent preferential targets for the development of new more efficient therapies in this type of cancer. Evidence that one subset of anaplastic thyroid carcinomas are derived from papillary carcinomas due to BRAF and p53 mutations. Quiros RM, Ding HG, Gattuso P, Prinz RA, Xu X. Department of General Surgery, Rush University Medical Center, Chicago, Illinois 60612, USA. BACKGROUND: Anaplastic thyroid carcinoma (ATC) is the most lethal form of thyroid neoplasia and represents the end stage of thyroid tumor progression. In the current study, genetic alterations in a panel of ATC were profiled to determine the origins of ATC. METHODS: Eight ATC were analyzed for BRAF mutation at codon 599 by using mutant-allele-specific polymerase chain reaction (PCR) and DNA sequencing of the PCR-amplified exon 15. RAS mutation (HRAS, KRAS, and NRAS) at codons 12, 13, and 61 was analyzed by direct sequencing of PCR-amplified exons 1 and 2 of the RAS gene. RET/PTC rearrangements and p53 mutation were monitored by immunohistochemical (IHC) staining by anti-RET antibodies and an anti-p53 mAb, respectively. RESULTS: BRAF was mutated in 5 of the 8 ATCs tested. Histologic examination revealed that 4 of these 5 BRAF-mutated ATCs contained a PTC component, suggesting that they may be derived from BRAF-mutated PTC. Of the 3 ATCs with wild-type BRAF, 2 had spindle cell features; one had follicular neoplastic characteristics mixed with papillary structures. Analysis of RAS mutation revealed only an HRAS mutation at codon 11, due to the transversion of GCC to TCC in one ATC with wild-type BRAF. This leads to the substitution of valine to serine. IHC analysis of RET/PTC rearrangements revealed no positive staining of RET in any of 8 ATCs, suggesting that these ATCs are not derived from RET/PTC- rearranged PTC. In contrast, IHC analysis of p53 mutation revealed that p53 was detected in the nuclei of 5 of 5 BRAF-mutated ATCs and 2 of 3 ATCs with wild-type BRAF. p53 staining was present only in anaplastic thyroid tumor cells but not in neighboring papillary thyroid tumor cells. CONCLUSIONS: These results suggest that many ATCs with papillary components are derived from BRAF-mutated PTC, because of the addition of p53 mutation. Abstract. Anaplastic thyroid carcinoma is a rare, highly malignant tumor of elderly people. The purpose of this retrospective study was to characterize the patient population and to detect a potential subgroup with better prognosis or any intervention that would be useful. From 1967 through 1994 a total of 33 anaplastic thyroid carcinomas were operated on at the Second Department of Surgery, Helsinki University Central Hospital. There were 26 females and 7 males with mean age of 66.0 years (range 36–89 years). At the time of diagnosis 16 of 33 patients had distant metastases, and 32 of 33 of the tumors had invaded the thyroid capsule. Disease-specific survival was 9.7% (95% confidence interval from 2.0% to 25.9%) at 1 year using the product limit survival analysis. In the stepwise Cox proportional hazards regression model, local resectability (p= 0.0002), presence of distant metastases at diagnosis (p= 0.0014), radiotherapy (p= 0.014), and radioiodine ablation (p= 0.039) were independent prognostic factors. We concluded that even though statistically significant, independent, prognostic factors can be found the survival of the patients with the best prognostic characteristics is still poor. Only one patient, who had an anaplastic carcinoma focus within an encapsulated follicular thyroid carcinoma, survived in this series. At present there seems to be no surgical treatment that would be efficient for treating symptomatic anaplastic thyroid carcinoma. Anaplastic thyroid carcinoma: a 50-year experience at a single institution. McIver B, Hay ID, Giuffrida DF, Dvorak CE, Grant CS, Thompson GB, van Heerden JA, Goellner JR. Department of Medicine, Mayo Clinic & Foundation, Rochester, MN 55905, USA. BACKGROUND: Anaplastic thyroid carcinoma (ATC) is among the most aggressive of human malignancies. However, there have been few large studies of histologically well-defined ATC. We report the results of a 50-year experience of this lethal malignancy. METHODS: We reviewed all cases of ATC managed in this institution between 1949 and 1999. One pathologist (J.R.G.) reviewed all pathologic material. Clinical details were obtained from medical records, and current status of all patients was determined. RESULTS: There were 134 cases, with a female-to-male ratio of 1.5:1 and a mean age of 67 years. Benign thyroid disease was present in 27 cases (20%) and well-differentiated thyroid carcinoma in 31 (23%). Sixty-two patients (46%) had distant metastases at diagnosis, and 98% of the tumors were locally invasive. Primary treatment was surgical for 96 patients (72%). 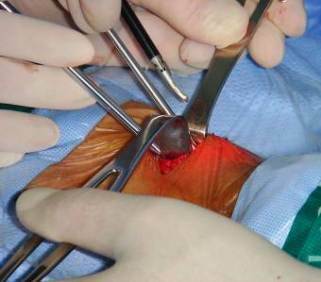 Complete resection was achieved in 29 cases (30%), with “minimal residual disease” in 25. Neither extent of operation nor completeness of resection affected survival (P > .4). Postoperative radiotherapy gave slightly longer median survival (5 vs 3 months), which was not significant (P < .08). Multimodal therapy, including operation, chemotherapy, and radiotherapy, did not improve survival. CONCLUSIONS: The outlook for patients with ATC remains grim. Novel treatments for ATC are desperately needed. Oct. 5, 2007, 3:15 p.m. EDT— Patients with micropapillary thyroid cancer—small tumors equal to or less than 1 centimeter—and tumors even smaller, less than 1 millimeter (mm)—are more common and not without a risk as previously thought, according to a new study being presented on Fri., Oct. 5, at the 78th Annual Meeting of the American Thyroid Association (ATA) in New York. This is contrary to the widely perceived belief that small papillary thyroid cancers are clinically insignificant and don’t require active treatment. Papillary is the most common type of thyroid cancer, accounting for about 80% of all thyroid cancers. The findings suggest that the size of the tumor itself may not be the sole determinant for the degree of the cancer’s aggressiveness. Small papillary cancer can indeed metastasize or spread to other parts of the body. Ten percent of patients in the study with micropapillary cancer and six percent of those with less than 1 mm cancers had tumors that spread to nearby lymph nodes in the neck. “We would like to be appropriately aggressive in treating small aggressive cancers. However, it is also important not to be aggressive in managing the majority of these patients with clinically insignificant small cancers. A better understanding of this disease will help us to better risk stratify these patients,” added Dr. Kuffner. Researchers at the 10th European Congress of Endocrinology (ECE) reported on a new long-term follow-up study, which looked at the results of patients with papillary thyroid microcarcinoma. The research, conducted out of the Mayo Clinic in Rochester, Minn., looked at approximately 900 papillary thyroid microcarcinoma patients from 1945 to 2004. The study looked at the impact various treatment approaches had on the risk of thyroid cancer recurrence and mortality, based on computerized data that had been maintained about the patient population. For example, some patients in the group received radioiodine remnant ablation. The most important finding was that among 892 patients who had their thyroid tumors removed, none had any spread of the cancer during the 20 years after the surgery. The 20-year and 40-year recurrence rates for thyroid tumors were 6 and 9%. Of the entire study population, only 3 patients (0.3%) died of papillary thyroid microcarcinoma, and the survival and mortality rates for the study group did not differ significantly from the control population. Interestingly, the risk of recurrence did not appear to be significantly improved by radioiodine remnant ablation treatment. •Papillary thyroid microcarcinoma has an excellent prognosis if the primary tumor is completely removed during surgery. •More than 99% of patients with papillary thyroid microcarcinoma are at no risk of a distant spread of the cancer or of dying of thyroid cancer. •Neither total thyroidectomy (total surgical removal of the entire thyroid) nor postoperative radioiodine remnant ablation improved the patient outcome — risk of tumor recurrence or death from papillary thyroid cancer — over a 40-year period. Papillary Thyroid Carcinoma -Grand Rounds Christopher Prichard, M.D. The ACS last year in their statistics reported 20,700 new cases a year with 1,300 deaths due to thyroid cancer. Thirty years ago there were about 8,000 new cases per year but the incidence of death has not increased significantly. At that time it was about 1,000 cases per year. If you look at an isolated thyroid nodule there is anywhere from 5% to 12% risk of development of cancer in an isolated nodule. Now, thyroid cancer in general is a variable disease and ranges from some of the best prognostic cancers that humans have to some of the most aggressive and deadly. We will see the 10-year survival rates show excellent survival rates for the well-differentiated cancers, papillary and follicular and terrible survival rates for anaplastic cancers. In a study done in 1998, over 53,000 cases of thyroid cancer treated over a 10-year period in the U.S. were reviewed. This study found that between 77% and 81% in any given year were papillary thyroid cancers, the most common. The female to male ratio was 3:1, though the risk of dying from a papillary cancer is actually 2:1, males over females. The mean age of presentation in this study was 39 years and typically it presents in the third or fourth decade. These are indolent, slowly progressive tumors and there is an overall 10-year survival of 93%. Most papillary cancers present as a clinically palpable asymptomatic nodule. Within a 40-year span, as many as 35% have recurrence after successful treatment. There is a high incidence of nodule metastasis: 35% of cases will have cervical node metastases, with the literature reporting this rate as high as 40 to 45%. J Surg Res. 2006 Aug;134(2):160-2. Epub 2006 Jun 14. What is the biology and optimal treatment for papillary microcarcinoma of the thyroid? Cheema Y, Olson S, Elson D, Chen H.Department of Surgery, Section of Endocrine Surgery, University of Wisconsin, Madison, WI 53792, USA. BACKGROUND: Papillary microcarcinomas of the thyroid, defined as tumors measuring < or =10 mm, are believed to be a less aggressive subset of papillary cancers that behave more like benign lesions and are often more conservatively treated. However, some groups have reported a high incidence of metastases from papillary microcarcinomas and favor aggressive surgical resection followed by radioiodine therapy. Therefore, to characterize the biology and optimal treatment for papillary microcarcinomas, we reviewed our experience. METHODS: From May 1994 to October 2004, 184 patients underwent thyroid surgery at the University of Wisconsin and had papillary thyroid cancer present in the resected gland. Of these patients, 10 were excluded because there was no record of tumor size. Of the remaining 174 patients, 74 (42%) had papillary microcarcinomas. Data from these patients were retrospectively analyzed. RESULTS: The mean age of these patients was 42 +/- 1.48 year and 57 (77%) were female. The mean tumor size was 5.7 +/- 0.38 mm. Of the 74 patients, 12 (16%) had lymph node metastases. The majority of patients (65%) underwent a total thyroidectomy and 61% had radioiodine ablation therapy after surgery. With follow-up up to 134 months, the recurrence rate was 8% and only two patients currently have active disease. No patients with papillary microcarcinoma have died during this period. CONCLUSION: Papillary microcarcinomas of the thyroid are quite common, comprising almost half of all papillary cancers. Despite a significant rate of metastatic disease, the prognosis for patients with microcarcinomas has been excellent with 100% survival and a low recurrence rate. These outcomes may be the result of the aggressive surgical therapy used at our institution. Thus, papillary microcarcinomas appear to have a similar biology to other low risk papillary thyroid cancers and, in our opinion, may warrant similar treatment. Expert Opin Pharmacother. 2007 Dec;8(18):3205-15. Appropriate treatment for asymptomatic papillary microcarcinoma of the thyroid. Ito Y, Miyauchi A.Kuma Hospital, Department of Surgery, 8-2-35, Shimoyamate-dori, Chuo-ku, Kobe 650-0011, Japan. Since the 1990 s, asymptomatic papillary microcarcinoma (PMC), papillary carcinoma measuring <or= 1.0 cm, has frequently been detected using ultrasonographic screening and diagnosed by ultrasonography-guided fineneedle aspiration biopsy. Thyroid carcinoma was detected in 3.5% of otherwise healthy women aged >or= 30 years of age and most of these patients had lesions measuring <or= 1.5 cm in diameter, which is not discrepant with previous autopsy findings that latent PMC showed a high incidence. A recent observation trial showed that only 6.7% of low-risk PMC definitely became enlarged during 5 years of follow up, indicating that observation is an attractive alternative to surgery for PMC. However, PMC with clinically apparent metastasis detected on imaging is likely to show a recurrence to the lymph node and careful neck dissection as well as total thyroidectomy may be required. If surgical treatment is performed for low-risk PMC, prophylactic modified radical neck dissection is not necessary and lobectomy (with isthmectomy) and central node dissection is adequate if the tumor is located only in one lobe. Nat Clin Pract Endocrinol Metab. 2007 Mar;3(3):240-8. A therapeutic strategy for incidentally detected papillary microcarcinoma of the thyroid. Ito Y, Miyauchi A.Department of Surgery, Kuma Hospital, Kobe, Japan. Papillary microcarcinoma of the thyroid (PMCT) is defined as papillary carcinoma measuring 1.0 cm or less. PCMT are frequently detected by ultrasonographic screening and ultrasonography-guided fine-needle aspiration biopsy. Although PMCT can pathologically show a high incidence of multifocality and lymph node metastasis in surgical specimens, most tumors grow slowly or not at all when they are monitored without surgery. In our observations only 6.7% of PMCT enlarged by 3.0 mm or more in diameter during 5 years of follow-up, and nodal metastases became detectable in 1.7% of patients overall. Observation without surgery could, therefore, be an attractive alternative for patients with low-risk PMCT; however, occult PMCT, which are diagnosed as the origin of lymph node or distant metastasis, show a worse prognosis. Even among incidentally detected PMCT, tumors with ultrasonographically detectable nodal metastasis are more likely to recur. Because such PMCT are most likely to recur in the regional lymph nodes, careful therapeutic neck dissection and total thyroidectomy are required. For incidentally detected and low-risk PMCT, careful observation without surgery might be acceptable, but careful and systematic surgery should be performed for patients with PMCT demonstrating aggressive characteristics. ABSTRACT Papillary microcarcinoma has an excellent prognosis after surgical treatment, but how to dissect the lymph nodes remains an open question. In this study, we investigated whether modified radical neck dissection (MND) affected the lymph node recurrence-free survival (LN-RFS) rate for 590 patients with papillary microcarcinoma and recurrence in the lateral compartment who underwent surgery in our hospital between 1993 and 2001. MND was performed in 316 patients, and metastasis in lateral compartment was preoperatively detected on ultrasonography in 67. These 67 patients showed significantly worse LN-RFS (p = 0.0038) than the remaining 249 patients without preoperatively detectable lateral node metastasis. Of the 523 patients (590 minus the 67 patients) whose lateral node metastasis was not detected preoperatively, 249 underwent MND; the remaining 274 patients did not. There was no significant difference in LN-RFS between these two groups. Our preliminary data suggest that with papillary microcarcinoma: (1) MND is not necessary in patients without lateral node metastasis detected on ultrasonography preoperatively, and (2) patients with preoperatively detected lateral node metastasis are more likely to develop recurrence in the lymph nodes so careful MND should be performed. Abstract We previously demonstrated that (1) most papillary microcarcinomas can be followed without surgical treatment and (2) when surgery is performed, patients with lateral lymph node metastasis detected on preoperative ultrasonography (US) are more likely to develop recurrence. In this study, we further investigated the application of these strategies. To date, we have observed 211 patients (average follow-up 47.9 months). In more than 70% of these patients the tumor size did not increase during the follow-up period. There were no clinicopathologic features linked to tumor enlargement except in tumors 7 mm, which tended to enlarge in patients followed for 4 years. To evaluate not only whether observation can continue but also how to dissect the lymph nodes optimally at surgery, US diagnosis for lateral node metastasis is essential because the presence of US-diagnosed lateral metastasis is an even stronger predictive marker for recurrence than the presence of pathologically confirmed node metastasis. The positive predictive value (PPV) was 80.6% for US but reached 100% if fine-needle aspiration biopsy (FNA of nodes or FNAB-thyroglobulin measurement is added. Furthermore, carcinomas occupying the upper region of the thyroid more frequently showed US-diagnosed and pathologically confirmed lateral metastasis, and those measuring 7 mm were more likely to show pathologically confirmed lateral metastasis. These findings suggest that, for papillary microcarcinoma: (1) US-diagnosed lateral metastasis is a strong marker predicting a worse relapse-free survival; (2) FNAB of nodes and FNAB-thyroglobulin measurement are useful tools for evaluating lymph node metastasis; and (3) careful US evaluation for lateral metastasis is necessary in patients with a tumor measuring 7 mm or that is located in the upper region of the thyroid both during observation and preoperatively. Occult papillary microcarcinoma of the thyroid–a potential pitfall of fine needle aspiration cytology? Pathology Service, Dr A Onativia, Endocrinology and Metabolism Hospital, Salta, Argentina. The use of fine needle aspiration cytology detected papillary carcinoma in two patients with multinodular goitre measuring 0.7 cm and 0.9 cm in diameter, respectively. Like most of the cases from previous large series, the tumours progressed slowly as shown by absence of enlarged glands on surgical exploration and no clinical signs of metastasis after two and five years of follow up. This study shows that aspiration cytology can detect a virtually harmless occult papillary carcinoma that will oblige patients to have surgery. This very occasional “pitfall” of fine needle aspiration should not preclude this well known beneficial method from being used in the management of thyroid disease. his/her personal physicians and to only act upon the advice of his/her personal physician. Also note that concerning an answer which appears as an electronically posted question, I am NOT creating a physician — patient relationship.